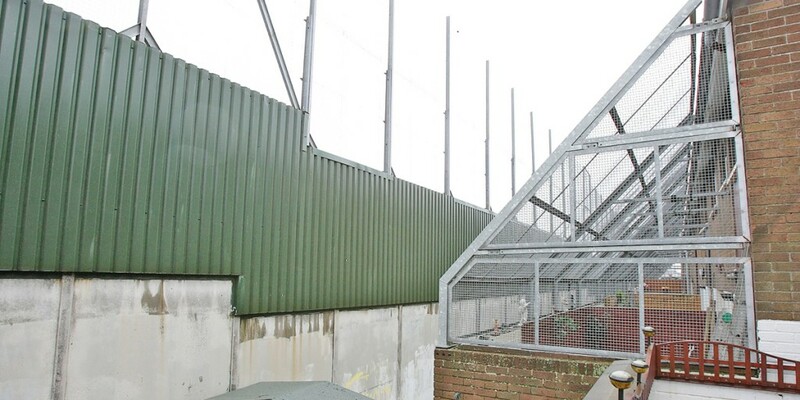 A report suggesting that Belfast’s peace walls should be dismantled by 2022 has been met with widespread opposition by nationalist residents living near the barriers in West Belfast. The idea was contained in a draft report on developing a new community relations strategy that has been under preparation by a cross-party Stormont group in recent months. According to the draft otrategy, there are 59 peace walls, gates or barriers across Belfast, Derry and Craigavon, nine of which have been erected since the signing of the Good Friday Agreement in 1998. On the Springfield Road area near Workman Avenue the residents’ reaction was unanimous. They want the peace walls to stay up. “We’re still getting trouble here,” said one resident of Pollard Street. Another resident of the street said the flags protest hasn’t helped the situation. “I wouldn’t want the wall down,” she said. “I feel very much safer with it up. Even with this flags business, it’s causing trouble here, they’re chucking bricks because tensions are running high over there. Even before that there were confrontations. A while back my sister-in-law got a flat tyre out there and when she got out of her car, she was hit with a brick on the head and had to get stitches. A resident of Valleyside Close said the proposal was ridiculous. Another resident had a radical suggestion. Opinions on the so-called peace walls were much the same further on down the Springfield Road at Bombay Street, a place that’s become a byword in the city for sectarian aggression. “To be honest with you I don’t mind,” said one Bombay Street woman. “I’ve lived in the area for a long time but there’s no doubt it was needed. Another resident of the street gave us a firm No. A third Bombay Street resident said the time wasn’t right. “I have lived here all my life and was the only house in the street to opt out of having the wire grills put back up again as I didn’t want to live in or under a cage for another 30 years. “The wall is there for a reason and there have been instances of stone-throwing and vandalism done to cars in the street, but at the end of the day life goes on. It’s not the right time and I don’t know if it will ever be. I don’t know if anybody in this street would sleep at night if the wall came down,” he added.